Welcome to everything finance. This section looks to give you a comprehensive overview including fundraising for your society or charity, spending your societies money and applying for society grants. Societies must bank with the Students’ Union. No Societies monies should be kept by individuals or in bank accounts outside of the Union. Societies money is subject to tax and as an affiliated group of the Students' Union any monies societies possess are included in the Union’s accounts. As such we have a zero tolerance to monies being withheld and if you are found to be withholding income your society may be disbanded. If you are intending to make a purchase of £25 or above you will need to get approval prior to spending the money. To do this you need to use either a Budget or Purchase request form. Budget forms are there to help you plan your events and manage your society's finances. We require you to use budget forms before spending money. We ask for you to send us budget forms for approval 2 weeks before your event to give us time to come back to you with questions or suggestions. Be realistic - If you are selling tickets to an event, be realistic about the number of people who will buy tickets and what they will be willing to pay. There is a big difference between liking a facebook event and buying a ticket. Don’t assume everyone who express interest will actually buy a ticket. Give yourself a contingency - Try and make it so the event either makes a profit if you are paying for the event from your society account, or make sure you have some money available in case of an overspend. Plan in advance - You need to send us your budget form 2 weeks in advance of your event but don’t leave it until then to start thinking about it. Download a budget form here and send it to su.societies@brookes.ac.uk when completed. If you are simply looking to purchase a piece of equipment that is not linked to a single event but that will be used time and again by the society use the purchase request form. The same principles apply when filling out a purchase request form as to filling out a budget form. 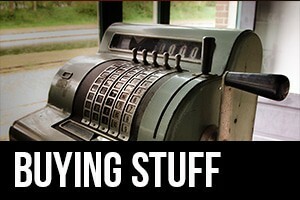 Depending on what you're buying, it may be that we can pay directly from your account. If you can get an invoice, or are looking to buy something online we maybe able to buy it on your behalf. If, however, you are looking to buy something from a shop or need to pay on the day you will need to pay and then reclaim the money. We can never give you cash to pay for stuff up front! If you need any support filling out budget or purchase request forms please contact us. 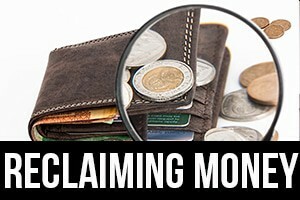 In order to reclaim any money you have spent on behalf of your society you will need to use the reclaim form. If the amount is over £25 you need to have previously agreed this through getting either a budget form or purchase request approved. If under £25, then you don’t need to have previously agreed the spend. If the spend is over £25 and you haven’t previously received approval, you will not be reimbursed. Any amount over £50 will be paid by bank transfer and you will need to make sure you include your bank details. Less than £50 can be given as cash and you will be emailed when it is ready to collect from the SU reception. You will never receive the money the same day. 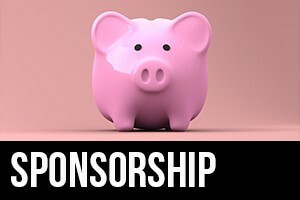 If you arrange or are offered any form of sponsorship or donation you need to get approval from the Union. You need to be particularly careful around enabling third parties to contact your members. If, at the point of providing you with their information, your member hasn’t given you consent to send them materials on behalf of a party you cannot do so. This would constitute a breach of Data Protection law. Finally, you need to be aware that sponsorship is subject to VAT. As a Society affiliated to the Union you are seen as an extension of Union as legal entity. This means that any agreements you sign have the potential to affect the Union as a whole, and any policies or agreements the Union has apply to you. A donation is when you are offered money with no expectation of you providing any service in return. A service can be anything that you are required to do such a social media post, Co branding an event or using a venue for a social. You need to be careful not to wrongly declare sponsorship as a donation as you could be in breach of laws governing tax. If you do accept a donation you can either bring cash to the Union, or the company can pay the money directly into your account. A lot of societies look to under take fundraising for charitable causes and this is something we hope to encourage however societies cannot make donations to charity from money in their account. This is because of laws restricting one charity donating to another. When fundraising you will need to make sure that you cover any associated costs i.e. If you are holding a bake sale you will need to cover the cost of any ingredients before donating the profit. You also need to make sure that you are clear in your advertising ‘All profits will go to X’. If you have any questions about fundraising please contact the societies team.